I think this is a pretty good idea, and mostly plausible, except I don't know if the military would, even for a vet, just give, or even sell body armor to a civilian. I believe body armor is illegal for civilians right now in the US, and would imagine that in the state of war that they were in before the bombs fell, the government would be even more strict about it. Helmets, however, you see surplus ones for sale all the time, so standard army helmet and fatigues like you could find at a surplus store, that sounds perfectly reasonable. Same with the gun, knife, some basic first aid stuff, and a supply of ammo. 50 stimpacks seems a little excessive, though. That sounds like not only a very plausible thing for a military vet who expects trouble in the future to do, but a non-overpowered or cheap starter kit for any rpg protagonist to get when embarking on their first quest. I know you just did it for fun, but I mention it because you're so close to it not being cheat-ey at all. Oh, you might add a basic 10mm pistol and maybe one or two hundred rounds for it, because the main character probably planned on his wife being around to carry it. Maybe a little bit of food and water, too. Body armor is perfectly legal in the US and can be purchased readily at a multitude of retailers. Love this mod. I go back an forth calling this a cheat verses a back story. Granted some of the items could be toned down. 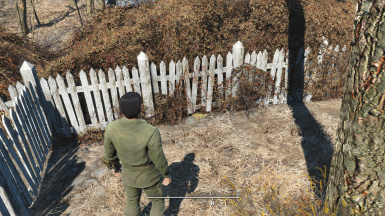 We know more about Nate and Nora's neighbors than we do them, if anything this is more immersive than some of the immersive mods. In any case great mod, cheat or no. I love this mod. My only beef with it is that I can't scrap the containers after I loot them. Still, I always start a new game by looting the hubby's 210 year-old stash. Pretty sure it should be a laser rifle, as that's what he was carrying in the opening. 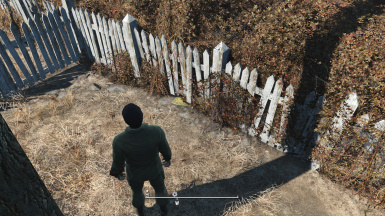 If only i had found this before i started my new save. I had to console in a rifle, fatigues, and a backpack. 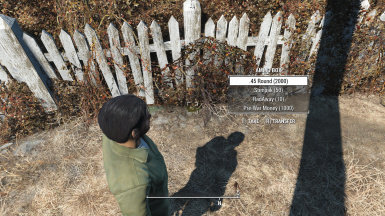 I figured that if there were unlooted safes and crates in sanctuary, then surely it'd make sense for the sole survivor's stash to be untouched, as well? I know why Beth didn't include it, but the fact this isn't vanilla is almost lore breaking. 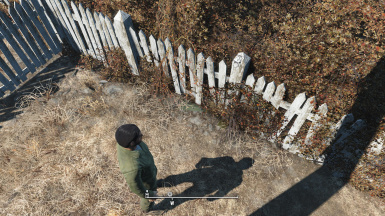 There is one small detail about the fatigues I realized. Before the bomb drops if you look in your room you can find Nate's army attire neatly folded in the closet by your bed. 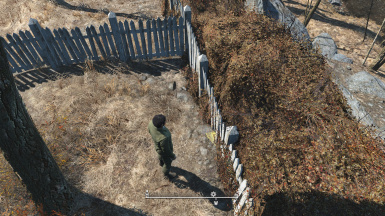 So technically it shouldn't be buried in the yard. Isn't to say maybe he has multiple fatigues and buried one for whatever reason. But I definitely like the idea of there being a hidden cache left for an emergency. It seems exactly like what a military veteran would do, just in case there was an invasion on the home front. He had just been discharged from the Army. He would've had multiple pairs of uniforms. He had been at Anchorage and was acutely aware of the state of the world and it isn't a stretch he would have supplies hidden away in case SHTF. 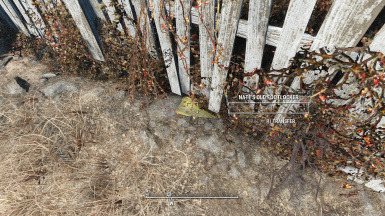 If you read some of the signs/posters around the wasteland, you will see that some items cost an exorbitant amount of money. I can't remember where, but I am certain I saw a poster selling a Giddy Up butter cup or some such for like $36k....yeah. OK, folks, for anyone who wasn't sure how to change the name on the footlocker, here's how I did it. 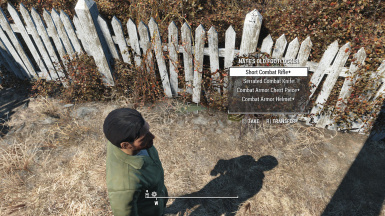 If you can edit it directly in FO4Edit, disregard this whole thing, but if it won't let you edit the Namefield directly you can do it in a script. A benefit of this method, even if you can directly edit the name, is that this doesn't alter the original file at all. 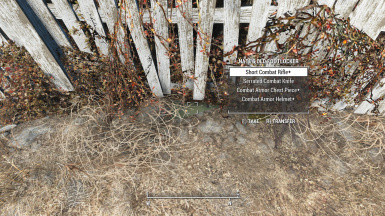 You'll need to download FO4Edit here and install it before you begin. 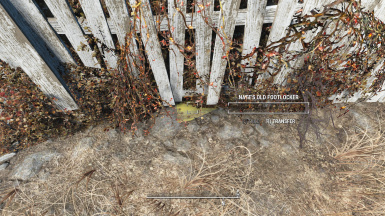 Download the version of Nate's Old Footlocker that you want to use and extract the .esp file into your ...\Steam\steamapps\common\Fallout 4\Data folder. You can use NMM if you want, but it's not necessary to actually install the mod before editing it. Open FO4Edit. The Master/Plugin Selection window appears. This contains a list of all the .esp files in your Data folder. Right-click anywhere on the list. Find Nate's Old Footlocker v1.#.esp and click to select it. The Master/Plugin Selection window closes and then a lot of text will scroll by pretty quickly. When it's done loading, you should see Fallout4.esm, Fallout4.exe, and Nate's Old Footlocker v1.#.esp in the left-hand panel. Click the + beside Nate's Old Footlocker v1.#.esp. You should now see File Header, Armor, Container, Weapon, and Worldspace. Click the + beside Container. You should now see either one or two items listed below, depending on which version you downloaded. Some only contain Nate's Old Footlocker while some also contain Ammo Box. A giant warning appears; you can click Yes I'm absolutely sure because despite the dire warnings we're not actually going to change the original module. Then the Which files do you want to add this record to? window appears. Click to select the box beside <new script>. Click OK. The New Module File window appears. Type the name you want for your override and click OK. The Confirm window appears to make sure that you intend to have Nate's Old Footlocker.esp and Fallout4.esm as masters to your override. Click Yes. You don't want to be able to run your override without the original Nate's Old Footlocker mod because it won't do anything but maybe crash your game. Your new file now appears in the left-hand panel. Click the + beside YOUR FILE NAME.esp. You should now see Container. You should now see Nate's Old Footlocker . You should now see the same menu from step 10. About halfway down, one of the options is Apply Script. The Apply Script window appears. Click the drop-down list to expand it and click <new script>. Replace YOUR NAME HERE with whatever your character's name is. See  below for other options. Click OK to run the script. The Save Changed Files window appears. Make sure that only your new file has its box checked. 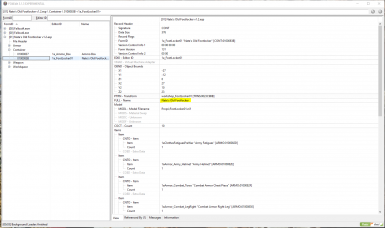 If Nate's New Footlocker, Fallout4.esm, or Fallout4.exe appear in the list, uncheck their boxes because you f***ed something up and you don't want to save whatever you did. Now you can add the override (and the main mod, if you haven't installed it already) using whatever method you prefer. NMM doesn't recognize .esp files all by themselves, so to use NMM, the easiest thing is to add it to a zip file but you can make a .FOMOD file if you'd like. If you want to change it to something like "My Footlocker" instead of a name, you'll need to use two apostrophes (not quotation marks) to replace the apostrophe in "Nate's" in your search string. You can also save the script at this point if you want to be able to use it again for this or any other file and then click OKto run it. Someone else has probably already suggested this but, you should add the tri-fold flag to his footlocker, and once the GECK Creation Kit is released you should also add a set of dog tags. 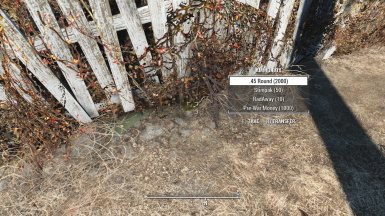 That'd be really simple, just copy the bos holotag item and change its name and properties. You could write a script that increases his Agility, Endurance, and or Charisma when he has the flag and tags on his person, sort of as an American Pride "thing". Immersion for the win.